Reading progress update: I've read 64 out of 278 pages. 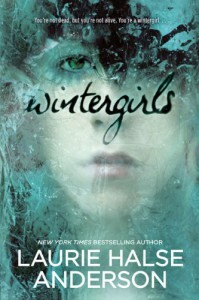 Big fan of Speak by Laurie Halse Anderson and so far I'm a big fan of Wintergirls as well. Its dark and depressing with beautifully poetic writing. There are quite a few triggering moments in this book so I wouldn't recommend it to someone recovering from an eating disorder or self harm. Its quite a page turner from the very beginning!